Synapsys was founded in 2001 to supply intelligent building control solutions that allow co-ordinated and efficient use of power and energy. Synapsys solutions are cost-effective and have been designed to simplify communications between various plant and equipment systems. They are straightforward and easy to use and can be developed into bespoke solutions for specific applications. In addition the company provides a range of interfaces and OEM packaged controls to run with a variety of communications protocols and interface with Building Management Systems (BMS), OEM controls, HVAC controls, VRF/VRV controls, data loggers, BACnet and Trend BMS. 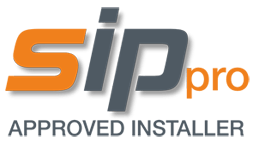 Our engineering team are certified SIP Pro Partners amd Approved Installers having completed the necessary training with Synapsys. As electrical contractors, we can therefore provide a complete installation and supply service for Synapsys. Synapsys have completed a range of Case Studies with a number of clients that demonstrate the benefits and energy savings that can result from the installation of the SIPp and SIPe products. For more information please click on the individual Synapsys Solutions shown below or call our Power Projects team on 0800 612 7388, complete our enquiry form or simply email us.